View cart “MTN 1X 94BCD WAVE™ TECH” has been added to your cart. 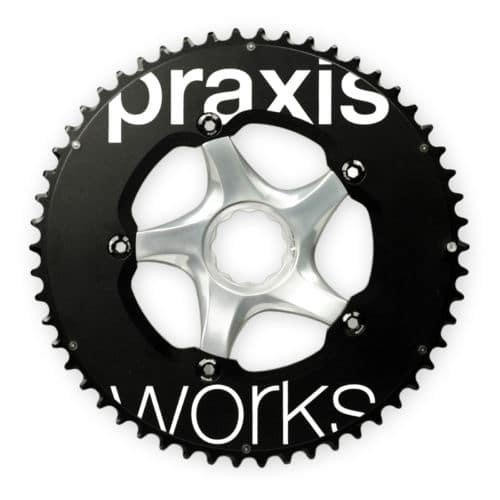 Whether you’re cylocrossing in mud or grinding gravel, Praxis 1X rings are ready for action with the Wave™ tooth profile. Licensed and developed in conjunction with Mountain Racing Products, the Wave™ profile applies alternating lateral force to each chain link to actively retain the chain to the ring – going beyond narrow/wide implementations that rely solely on friction, while allowing room for mud, debris, and grit to escape. The Wave™ design also wears more slowly than competing designs by spreading the load over larger surface areas. Plus our 1X rings are machined of top quality plate 7075 T6 aluminum for superior stiffness and hard anodized to take a beating.